Virgil Suárez, Professor, MFA, Louisiana State University (1987), specializes in creative writing (fiction and poetry) and Latino/a (especially Cuban-American) literature. Poet, essayist, novelist, and short story writer, Suárez is the author or co-author of over fifteen books of poetry and prose. His work has appeared in The Kenyon Review, The Southern Review, The New England Review, Poetry London, Poetry Wales, Poetry New Zealand, Imago (Australia), The Toronto Review, The Barcelona Review, Ploughshares, and many others nationally and internationally. His latest book is 90 Miles (Selected & New Poems), University of Pittsburgh Press, 2005. 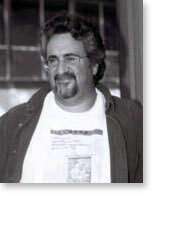 His work will be featured in the W.W. Norton Anthology of Latino/a Literature, 2010.